Markets are facing correction since March, 2015 after NIFTY touching life time high of 9100. Markets have corrected by almost 10% since then due to various reasons, the most important among them is the low corporate earnings. Correction may continue for some time further. This correction is going to provide opportunities for fresh investments as valuations are again becoming attractive. In this correction, stock prices of large-cap companies have already fallen by 10-20% & where as of mid-cap & small-cap companies by whopping 20-30%. These prices are attracting investors for fresh investments. But the prominent question here to ask is where one should invest to maximize the returns while keeping the risk low. For fresh investments, one should go for quality stocks to get the maximum benefit of this correction. Also one should also try to reshuffle his portfolio by selling the non-quality stocks and replacing them with quality stocks. Rationale behind it is that price of company’s stock is function of potential growth in earnings in long term. It is not the past which determines its price & its growth. Most of investors have a myth that if share price of company has done well in past then it will definitely do well in future too. Actually, share price of penny stocks & low quality shares jumps heavily in Bull-run & these shares also dive heavily during correction, not to see its previous high for long term or sometimes ever. People start investing in these low quality stocks and get stuck in them for long term without receiving any gains. One should invest in quality stocks which have strong fundamentals. Quality stocks have the potential to multi-fold & these shares outshine the markets. Even if the price of quality stocks goes down, these stocks keep the potential to jump back. Thus quality stocks do provide higher return with low level of risk in long term. 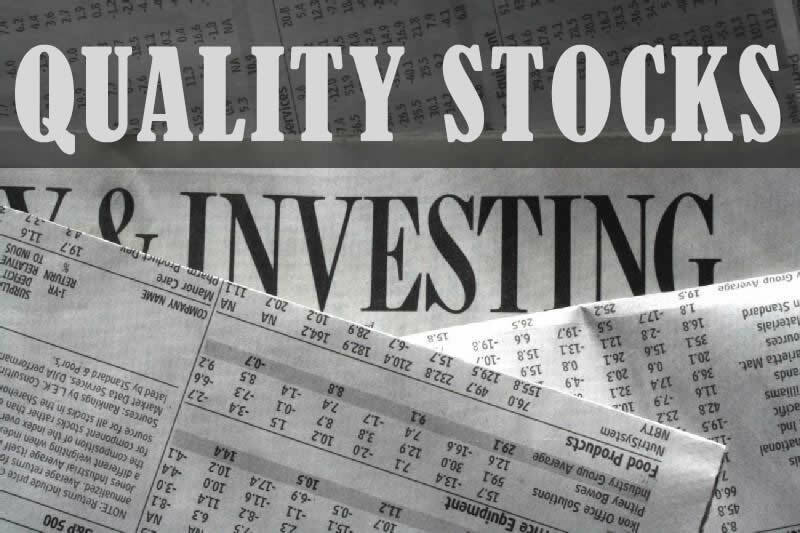 To determine if the particular stock is a quality stock or not, one should follow some rules. Firstly, the company should have a product which do have some kind of competitive advantage against others & ho much sustainable it is. It helps to sustain as well as to provide growth in revenues and it also helps in high margins. Secondly, one should check if the management provides the return back to shareholders or not. One should never invest in company whose management is not good even if product is very promising. Thirdly, company should have potential of growth in business. One should also look how company has performed in tough times. If one can perform well in tough times then he can do wonders in favorable times. Fourthly, how the valuations of company looks. One should try to buy at cheep valuations as it reduces the risk of downsize and at the same time increases the return potential. Corrections normally help in providing right valuations. This correction is going to provide an opportunity to everyone for fresh investments. One should invest warily in right stocks. Also start investing in tranches as correction may continue for few months. Once you have invested in right stocks then there will be need of just sitting tight to enjoy the ride. ‹ Why markets may correct further?